On the hunt for a new pizza joint, I came across this little gem. 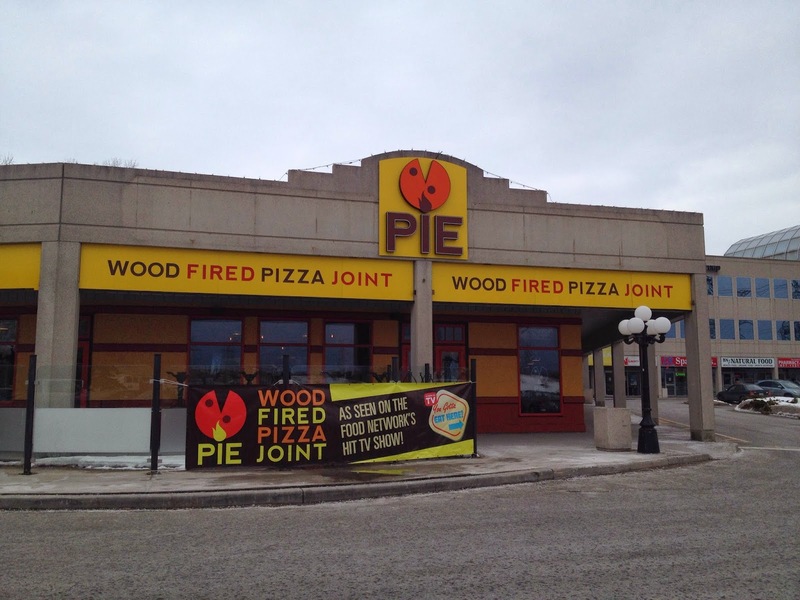 Only opened for a month, Pie had a continuous stream of people entering and many happy customers leaving. It's located just west of Brock Rd on Kingston Rd. TIP: The plaza address is blocked by bushes, but I have a handy dandy picture of the outside above! You can't miss it and you don't want to! The inside is shiny and new. It screams fun. 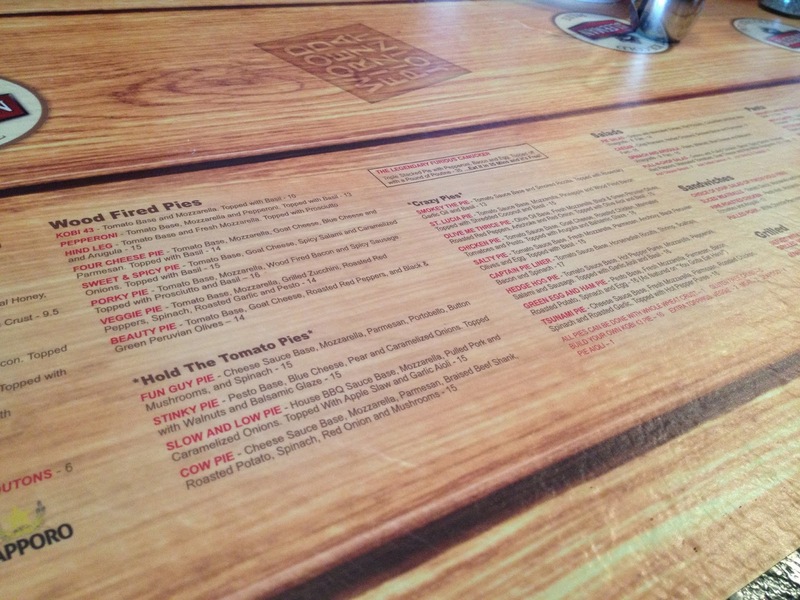 The menus are printed on the actual table! I thought that was a great way to save on paper! You think a regular pizza joint has a lot of choices for pizza? You are wrong. These are not your average pizzas. Delicious combinations laid out on an fresh, ultra thin pizza crust is always a winner. They come in one size equaling 6 slices or about the same size as a smaller, frozen pizza. It safely fed my mother and I, but if you are a guy or a hungrier gal, you might want to get your own pizza. The prices are good, so getting more than one pizza just lets you try more! The servers were very young, but attentive. It was busy and they realized there was a gap in between dishes, so they gave us our drinks on the house. This locations is very knew, so growing pains are to be expected. 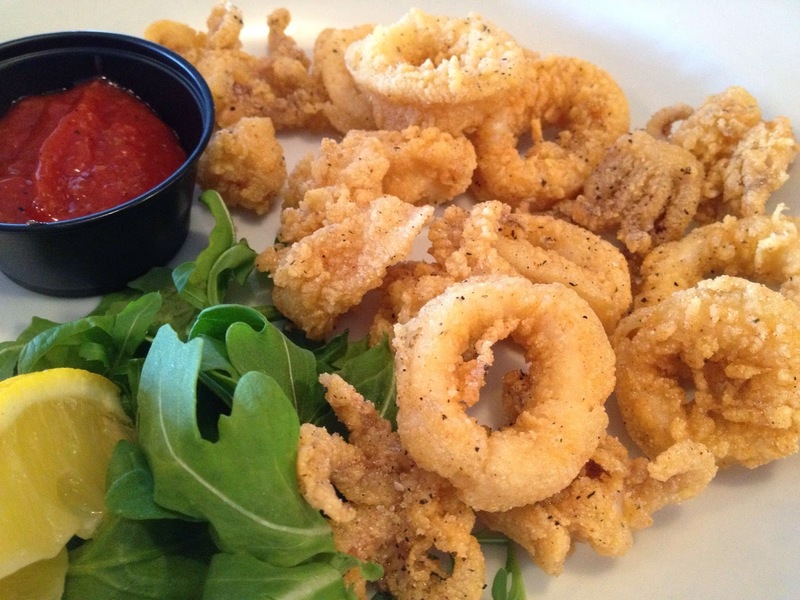 We started with the Cornflake Crusted Calamari. It was so tender; I don't know how they did it. It was comparable to expensive restaurants! The breading wasn't overpowering, just a hint of cornflakes. What a great combo! After much deliberating, we chose the Porky Pie. 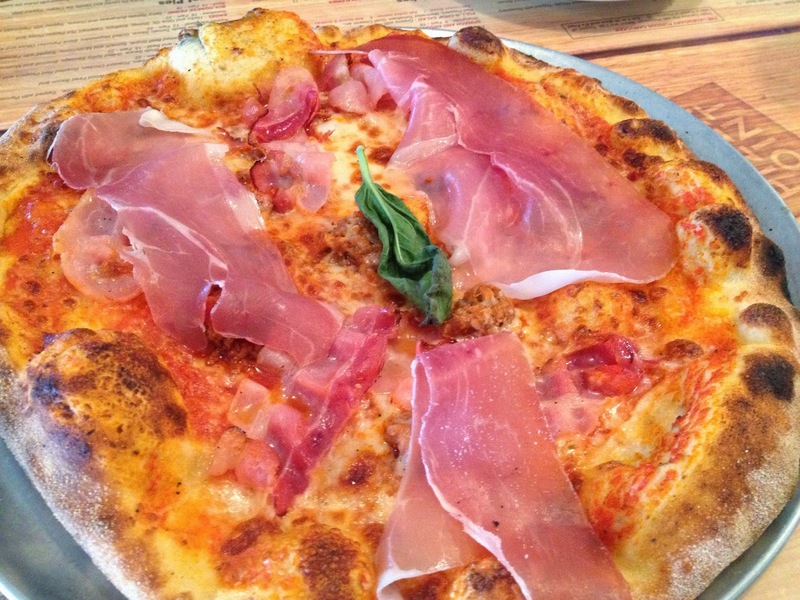 Topped with slices of prosciutto, wood fired bacon an spicy sausage. It was fantastic. The prosciutto and bacon were perfect and then you'd get the surprise of spicy sausage hiding underneath. The crust was so thin, that we finished the pie and felt satisfied, not in a food coma. That means there was room for dessert! The Nutty Pie had been calling us since we sat down. Ultra thing pizza crust topped with nutella, banana and crème de leche. Why didn't _I_ think of that?? It was amazing. It makes me want to put anything I would put on a pancake or crepe on pizza crust. A great experience and I'd love to go back and try some of there other pie creations!